Lin-Manuel Miranda wants to thank y'all for standing up for bodegas. The creator of "Hamilton" and "In the Heights" on Thursday praised those who criticized a controversial startup that they fear would kill the neighborhood mom-and-pop shop. 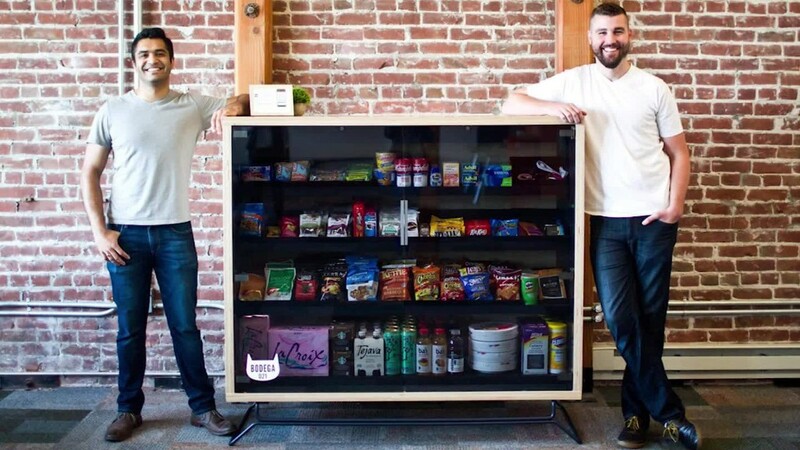 The company, called Bodega, wants to put pantry boxes stocked with convenience store items in gyms, dorms and other buildings. The backlash started after Bodega was profiled this week in a Fast Company article. The title: "Two Ex-Googlers Want To Make Bodegas And Mom-And-Pop Corner Stores Obsolete." Critics said that it appeared Bodega was taking aim at stores that are usually run by immigrants, while also misappropriating immigrant culture and celebrating gentrification. Miranda tweeted his dismay about the company. "*reads the ENTIRE WORLD STANDING UP FOR BODEGAS,*" he tweeted. "Sigh. I love y'all, thanks." Miranda's show of solidarity wasn't a surprise. A major character in his Grammy Award-winning musical "In the Heights" owns a bodega in Washington Heights, a largely Hispanic New York City neighborhood. In the Fast Company article, Bodega founder Paul McDonald said he was not "particularly concerned" about the startup coming off as culturally insensitive, adding that they surveyed the Latin American community about the name. On Wednesday, McDonald apologized to anyone offended and said he does not want to put mom-and-pop stores out of business. "Our goal is to build a longterm, durable, thoughtful business and we want to make sure our name -- among other decisions we make -- reflects those values," he said. When CNNMoney asked Bodega about Miranda's tweet Thursday, McDonald directed a reporter to Wednesday's statement. --CNNMoney's Sara Ashley O'Brien contributed to this story.